Incentive payout will depend on the amount of fuel burned and could be as much as $7,400 per vessel. The Port of Seattle has announced a change in its At-Berth Clean Fuels (ABC Fuels) Program for 2014. 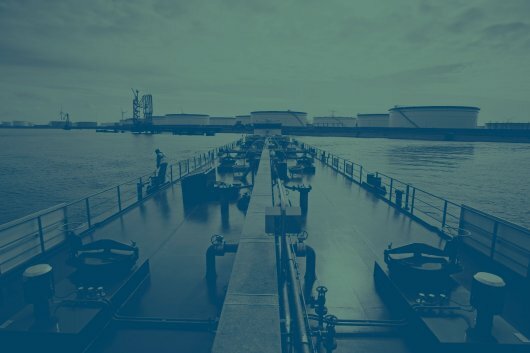 This year, the ABC Fuel Program will change to a 'per metric tonne' incentive for vessels that achieve early compliance with 2015 Emission Control Area (ECA) requirements to burn marine fuel with a sulphur content of less than 0.1 percent while at berth. The ABC Fuels Program was devised to meet the ocean-going vessel goals of the 2007 Northwest Ports Clean Air Strategy, whose objective is to improve air quality for the region. The program encourages the voluntary reduction of vessel emissions by incentivizing the use of low sulphur fuels above and beyond ECA requirements. Vessels participating in ABC Fuels agree to use low sulphur fuel in their auxiliary engines while docked in Seattle. In exchange, the Puget Sound Clean Air Agency helps defray the cost of the more expensive low sulphur fuel by providing participating vessels with a financial incentive. The incentive payout depends on the amount of fuel burned and, according to the Port of Seattle, could be as much as $7,400 per qualifying vessel call. Up until now, the Port of Seattle has provided tiered incentives averaging $2,250 to encourage the use of low sulphur fuel in auxiliary engines for each vessel call. This program has seen a steady increase in participants since it began. In 2009, 63 percent of vessels calling at the Port of Seattle either participated in the ABC Fuels Program or plugged in to shore power, also known as cold ironing. Since 2009, participants are said to have received over $2.6 million in incentives from Puget Sound Clean Air Agency. The ABC Fuels program is said to have eliminated more than 39% of sulphur dioxide emissions and 34% of diesel particulate matter in the harbour. On its website, the Port of Seattle claims that over 1,275 participating vessel visits have been recorded from 12 carrier lines since the ABC Fuels Program started. According to the Port of Seattle, the use of low sulphur fuel (below 0.1 percent sulphur) is estimated to reduce sulphur dioxide emissions by 64 percent from ECA levels. The North American Emissions Control Area (ECA), which came into effect on August 1 2012, requires ships travelling in the ECA zone within 200 miles of the U.S. and Canada coasts to burn higher-priced 1% sulphur fuel, below the current global limit of 3.5%. Participating ocean carriers in the ABC Fuels Program include: Hapag Lloyd, APL, China Ocean Shipping Company (COSCO), Evergreen Line, Hamburg Süd, Maersk Line, Matson Navigation, OOCL, Royal Caribbean International, Celebrity Cruises, Norwegian Cruise Line and Princess Cruises.